We prefer to give our customers specific names of real producers. 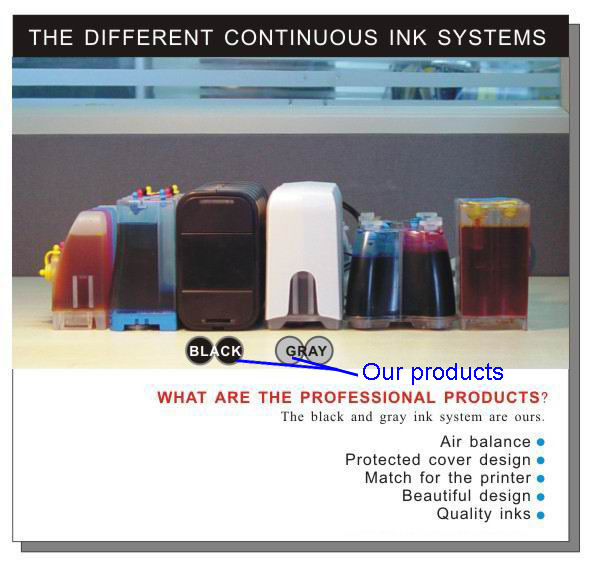 All ink products are obtained from trusted producers and are sold to you under their original brand names. 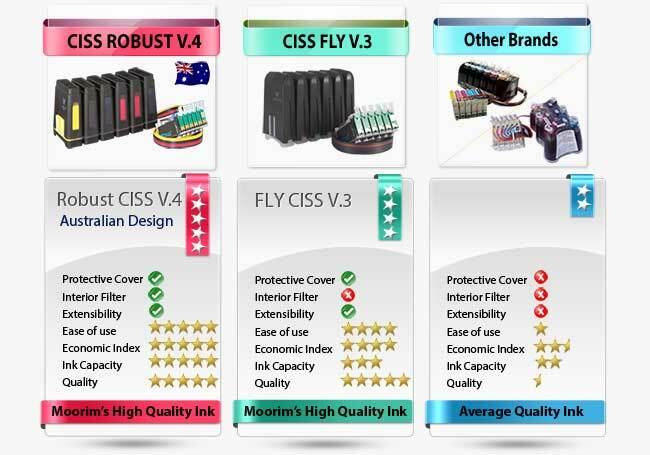 Every time you buy a CISS, you receive the latest version of chipset available on the market. 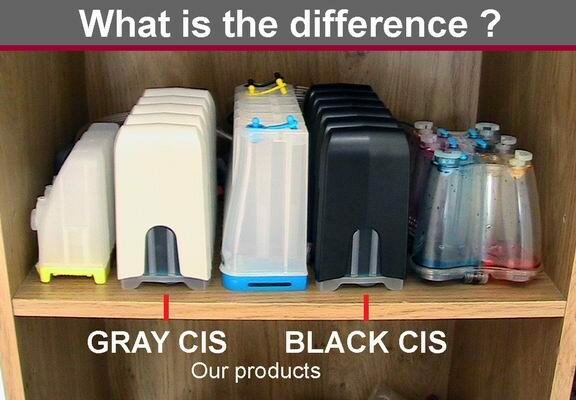 DYE, PIGMENT,.. DYE, PIGMENT,.. DYE, PIGMENT,..
*** Our tanks can be separated. 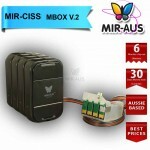 MIR-AUS CISS ink tanks have a unique interlocking mechanism (like pieces of a jig-saw puzzle) allowing you to detach them from one another easily. 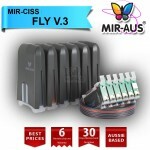 This feature reduces your costs if you’ll need to repair or upgrade your CISS. A) Spare parts: If you happen to damage any of the ink tanks, all you’ll need to do is to replace the single tank with a new one. Spare tanks can be obtained from our website at a fraction of the cost of a CISS. B) Upgrading: Often people upgrade their printers. 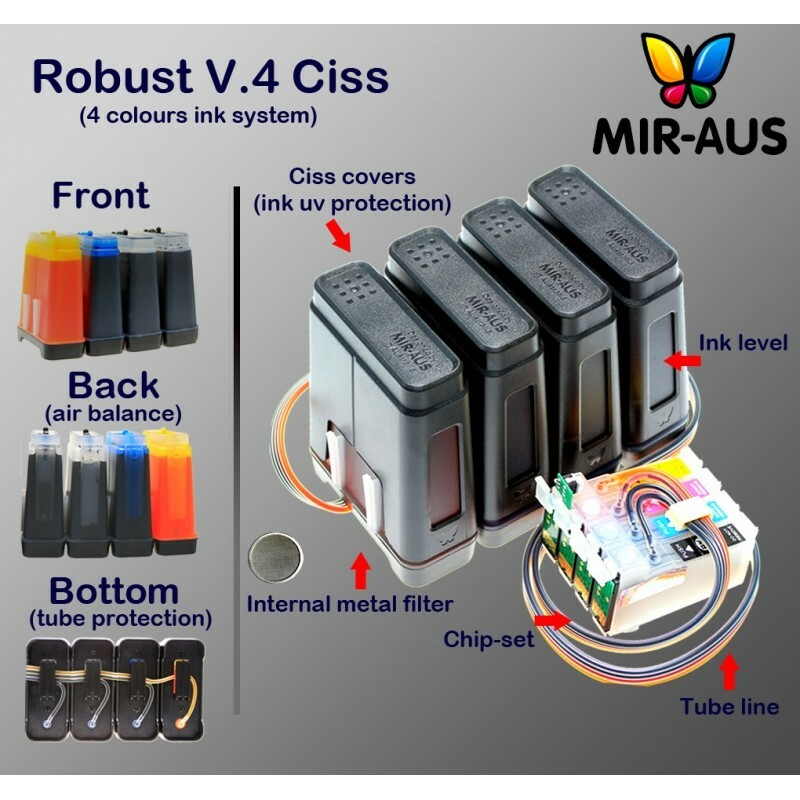 For instance, if your old printer had four colours and the new one has six, you can upgrade your existing CISS by ordering two spare tanks and changing the pipe system from four lines to six. 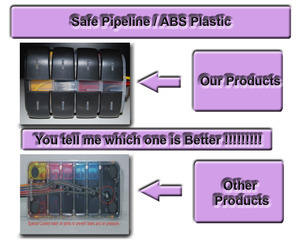 We can prepare the pipes and ship them to you ready for installation. 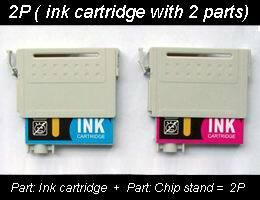 You may need new cartridges if your new printer uses a different cartridge type. 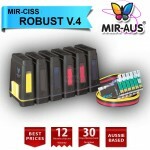 Though these changes mean more expenditure, they will be considerably less than the cost of purchasing a new CISS. 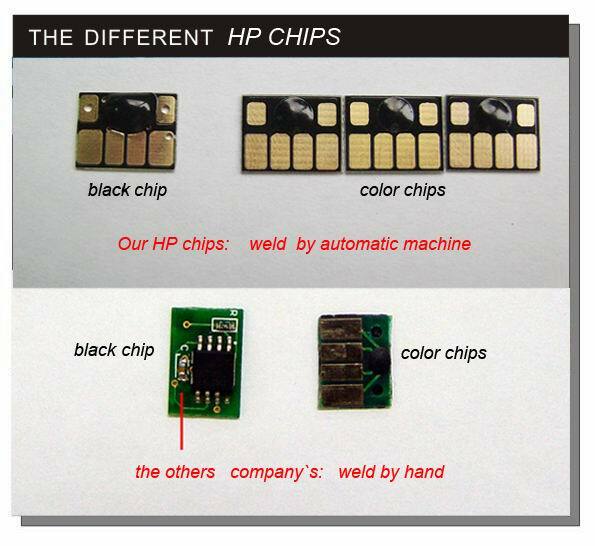 ***Postage will be chargeable for the new chipset. 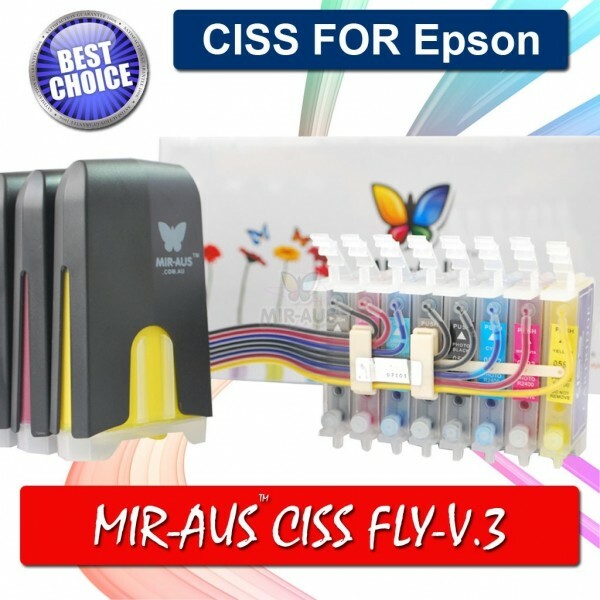 "MBox and Fly " these great new designs match the colour of your printer design and protect the CISS ink from UV light, the printing revolution starts here with our new amazing ROBUST ™ , MBox™ and Fly™ Continuous Ink Supply System. 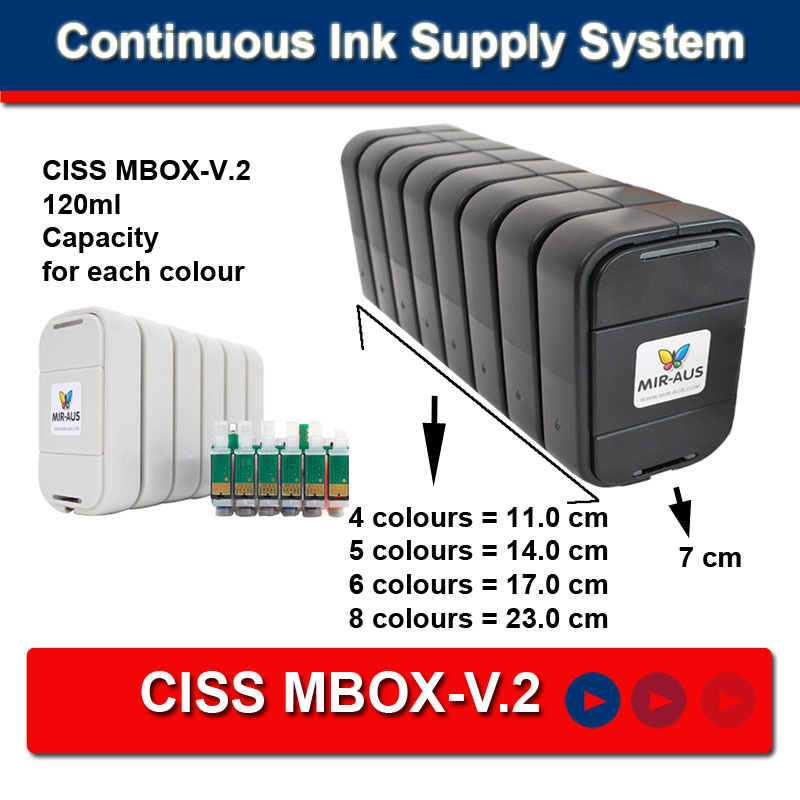 The large 120ml or 100ml external ink reservoirs continually feed the cartridges with ink through silicon feed tubes saving you up to 95% on ink cartridges. Don't leave those digital camera photographs sitting on your computer - get printing and save money!!! The printing revolution starts here with our new amazing Continuous Ink Systems. 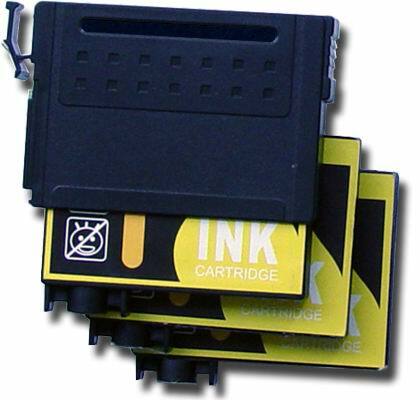 The large external ink reservoirs continually feed the cartridges with ink through silicon feed tubes. We also supply Moorim™ Ink at great prices. All our refill ink is of the highest quality. Our Continuous Ink Supply Systems save up to 95% of the printing costs for inkjet printers (Epson, Canon, HP and Brother Printers). 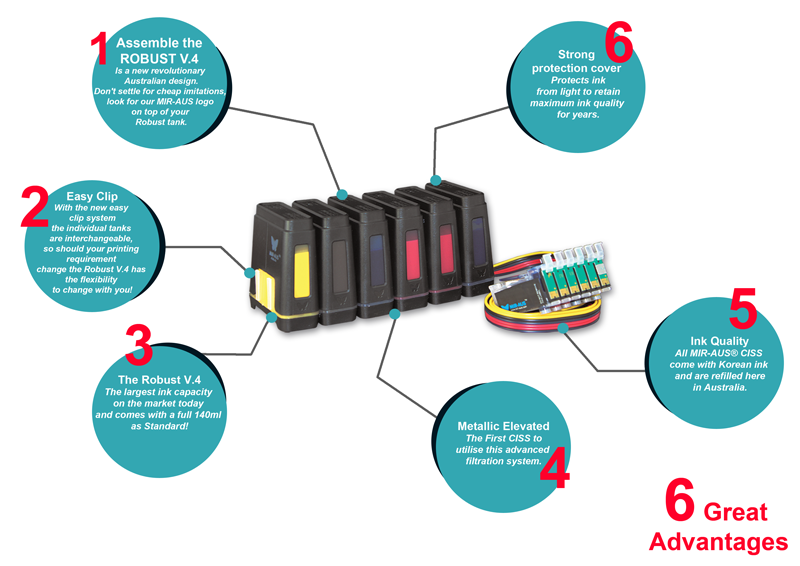 These systems use sponge fewer printer cartridges with auto reset chips. 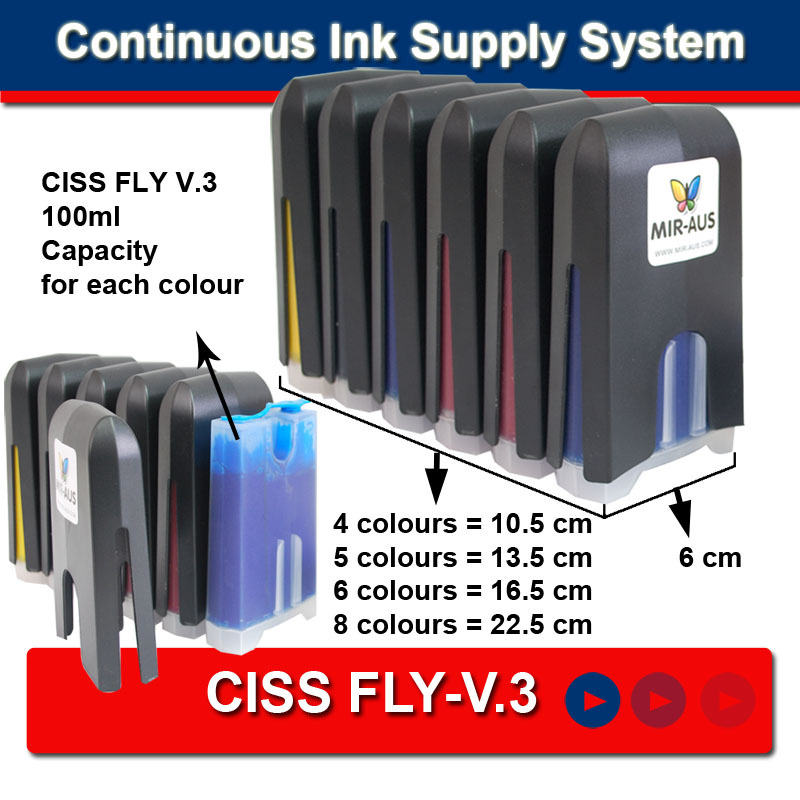 The CISS ink tanks can feed the cartridges with ink continuously, so you don't need to purchase expensive cartridges anymore. And you can use Dye ink and Pigment ink. 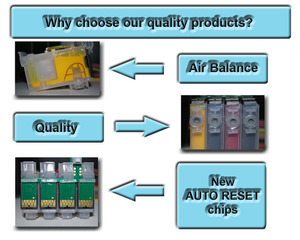 All our Continuous Ink Systems are of the highest quality, with the highest quality chips on the market today. 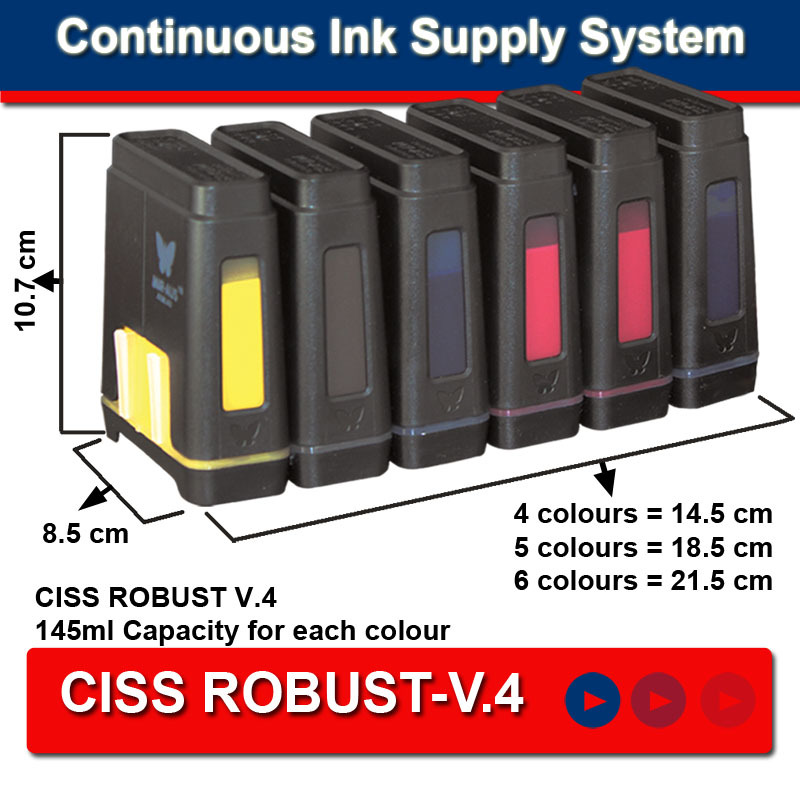 The main advantages of continuous ink supply systems are that the cartridge is always full, delivering even colour every time which remains consistent regardless of the size of the print run. Large runs of photographs or other jobs can be spooled without the worry of running out of ink. The external bottles are clear, enabling you to see easily if any colours are running low, and require a quick and easy top-up with our refill inks. 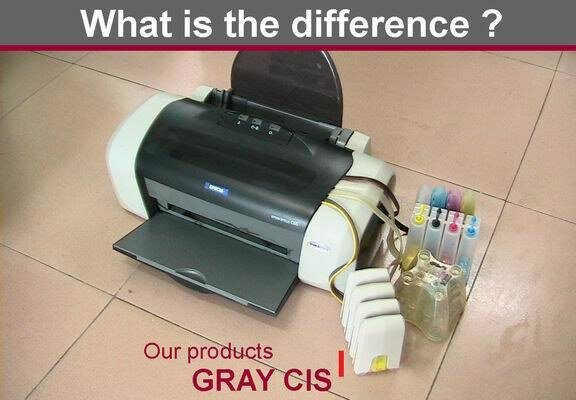 The bottles hold significantly more ink than cartridges, minimising maintenance. Photo Black, Red, Yellow, Blue, Optimizer Glossy, Light Black, Light Light Black, Orange etc.. Our refill inks are fully compatible with all major printer cartridges. 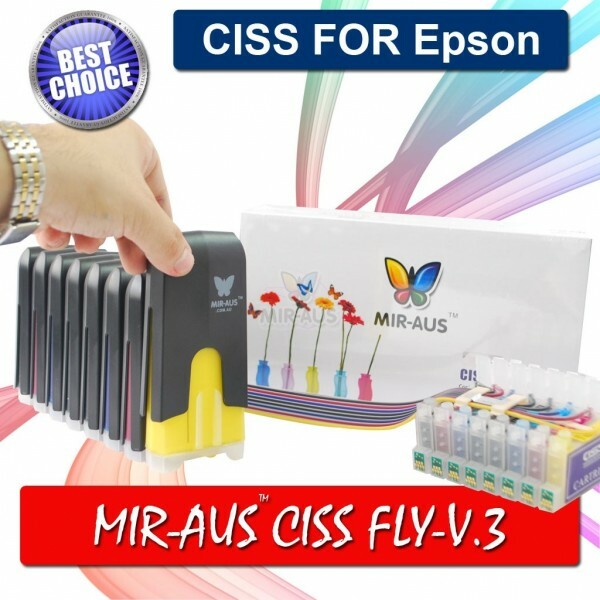 The innovative design, special for Epson new model printers: PX800FW, PX700W, R285, SX400, SX405, SX200, SX205, SX100, SX105, DX9400F, DX8450, DX8400, DX7450, DX7400, DX4450, DX4400, D120, S20, D92, R2880, R800, 1400, R1900. 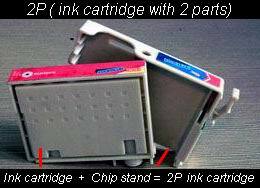 The ink cartridge includes 2 parts (A+B): one part is the chip stand With-Auto-Rest Chip. 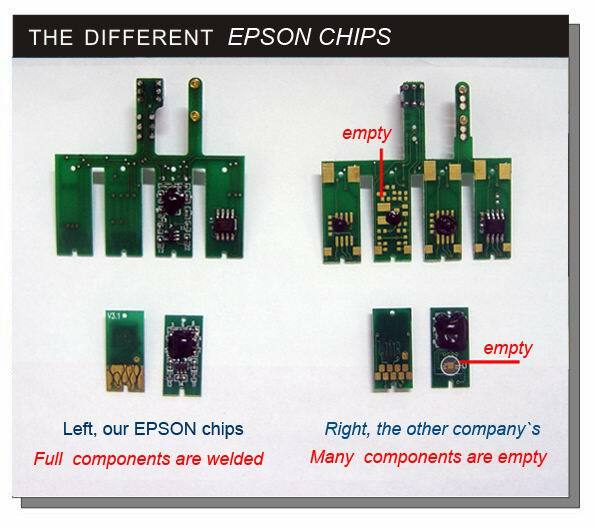 And another part is ink cartridge without chip.